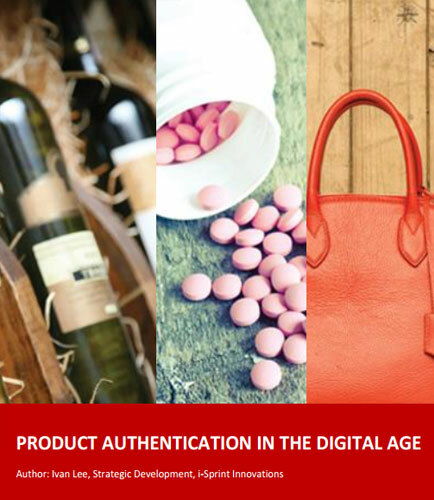 "Choosing a right product authentication solution"
Product Authentication technologies are essential in the digital age to all genuine products and packaging. The proliferation of e-Commerce has forced manufacturers to look beyond traditional brick-and-mortar stores for cost-effective means to product's authenticity or select further product information. Digital solutions for product authentication do not require any additional consumables, making them cost-effective and easy to deploy. The secret in label or packaging motif for the purpose of authentication could be stolen if the production process is not carefully monitored and is not designed with audit ability in mind. This whitepaper provides insights on integrating authentication tactics throughout your entire brand protection strategy and make product authentication the cornerstone of your anti-counterfeiting program. While large financial institutions have the resources and IT departments to develop their own ATM technology path, many smaller-to-midsized credit unions and financial institutions depend on their transaction processor or ATM hardware manufacturer to deliver new ATM products and functionalities. After many trials and tribulations, change is finally entering the ATM channel to make life easier for ATM owners. Using a combination of vision, planning and dedication to detail, CO-OP Financial Services and TEKchand are working to make what was once a static cash-dispensing box, into a powerful and dynamic marketing communication vehicle. What is Authentication Technology ?